You know that moment at the end of a hike when you wish someone would hand you a big chocolate-chip cookie or a piece of fudge as a reward for climbing a hill? Lin and Tom Quinn are here to help. The peak that gave the shop its name rises from the floor of the Schoharie Valley just south of Middleburgh. Its popular short loop trails, accessed from Mill Valley Road just off Route 30, offer great views and picnic spots for not too much effort. The Long Path Hiking Trail also traverses it, bringing hikers from the reaches of New Jersey and the Mohawk Valley. The Quinns decided to create a refreshment spot at the base of the mountain after Hurricane Irene wiped out their family’s printing business in 2011. They built the new building right next to their house, using many reclaimed materials from the destroyed print shop just down the road and soliciting help from friends and family. 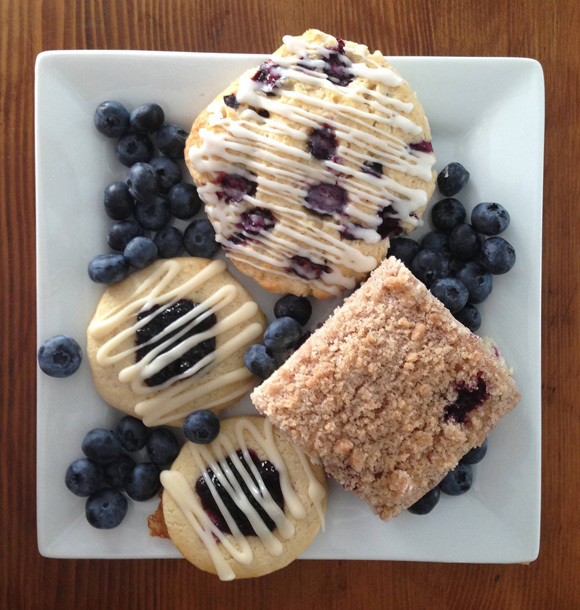 “We paid everyone in scones,” Lin Quinn said. The shop opened for a few months last fall as a trial run, and returned this spring. 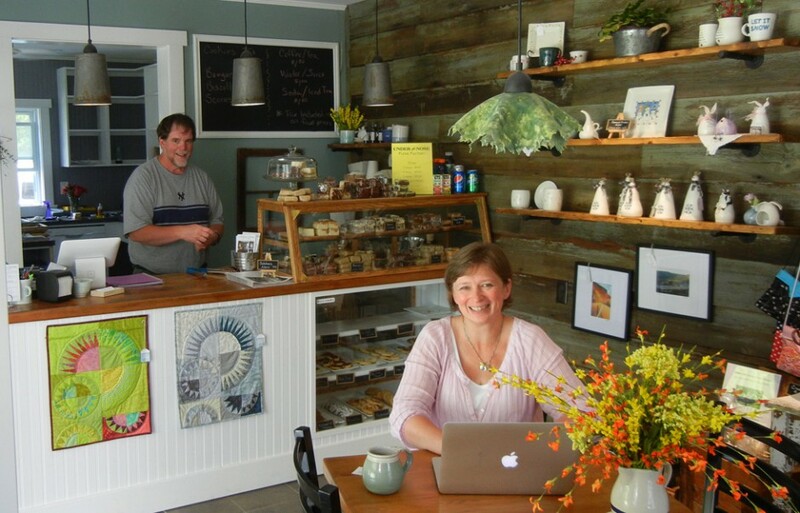 It is open from April until mid-December, featuring treats made with local ingredients from nearby farms and producers, and gifts such as birdhouses, soaps and other crafts made by friends and neighbors. Quinn’s pottery includes snowmen that she creates annually as a collector’s item, which sold out last year. The couple also does wholesale orders of baked goods and confections; check out the cherry cordials available just up the road at Green Wolf Brewing Co. in downtown Middleburgh. The business is still in its fledgling stage, with expansions planned. As of last week, the Quinns were expecting approval of additional permits that would allow them to expand their kitchen capacity. A room in the rear of their main seating area is under construction, and will eventually be available for private and community gatherings, such as meetings and bridal or baby showers. 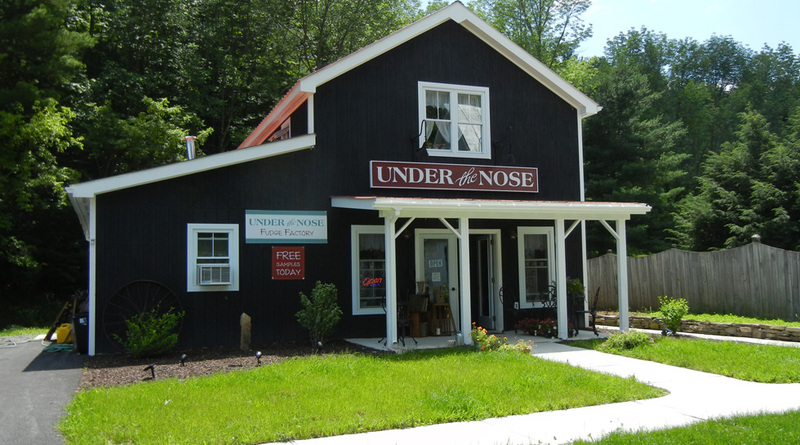 In the next few weeks, Under The Nose is participating in two fun events in Schoharie County. July 25 is the Middleburgh Triathalon, which consists of three not-too-strenuous activities (“Hike the Nose, Drive the Trail and Smell the Flowers”). In conjunction with the Schoharie County Quilt Barn Trail and Middleburgh Wildflowers, Under the Nose will host a block quilt painting class at the shop, as well as a table with free fudge samples at the Middleburgh Rotary Craft Fair, which takes place that day from 10 a.m. to 3 p.m. at Middleburgh Central School. The morning bird hike, at 9:30 a.m., will be led by an Audubon Society bird expert. On Aug. 1, Under The Nose will officially become a “friend of the trail” for the Schoharie County Beverage Trail, a new culinary tourism initiative designed to draw business to local breweries, wineries and distilleries. 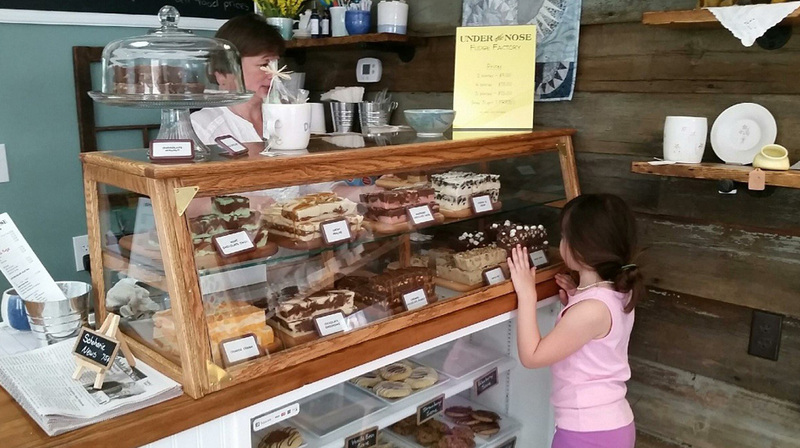 Find Under The Nose at 207 Mill Valley Road in Middleburgh. Hours are 9 a.m. to 6 p.m. Thursday through Monday. Find more details on the shop’s Facebook page.